SPACELABS Healthcare mod. 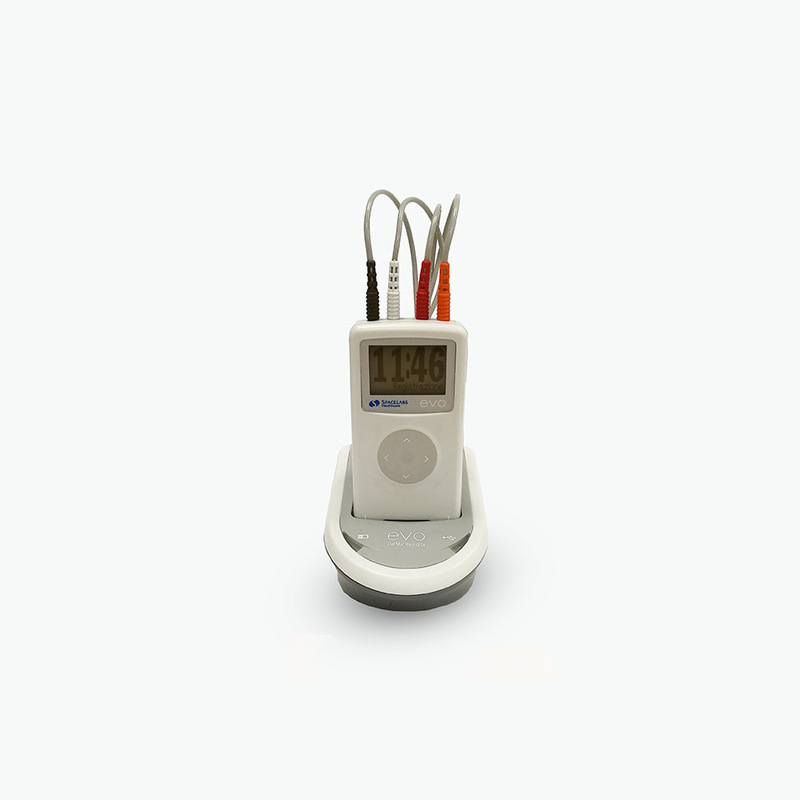 EVO is a cardiac Holter monitor combining the latest technology and practicality of use with the patient’s comfort. This small and light device is easy to wear and hide under the clothes, allowing more ease and privacy. This device is enclosed in a compact casing that can resist to average use and wear conditions; its Dynamic Energy Source does not need disposable batteries, therefore reducing operating costs; no maintenance for its movable components; the display allows the check of all necessary information and signal qualities; the internal storage capacity eliminates the risk of further costs due to possible replacements of damaged cards; this Holter allows more than 48 hours of recording (option of choosing 24/48 hrs.) with auto-detection option for pacemaker; easy transmission of data through USB connection to the Docking Station. The Holter SPACELABS EVO recorder and the medical reporting software Sentinel are legally certified and recognized by Italian Ministry of Health as class IIa medical devices.